Flora Marston is a playwright, actor and one half of Kopfkino Theatre with Nic McQuillan. Their first piece together, The Bearpit, was developed at Battersea Arts Centre. They went on to perform it at Theatre Royal Plymouth, the Edinburgh Fringe 2017, Theatre503 and Camden People’s Theatre. The Bearpit was described by Matt Trueman in his ★★★★ review as writing ‘like a firework going off in your face’, and by the 730 Review as ‘a stunning debut’. 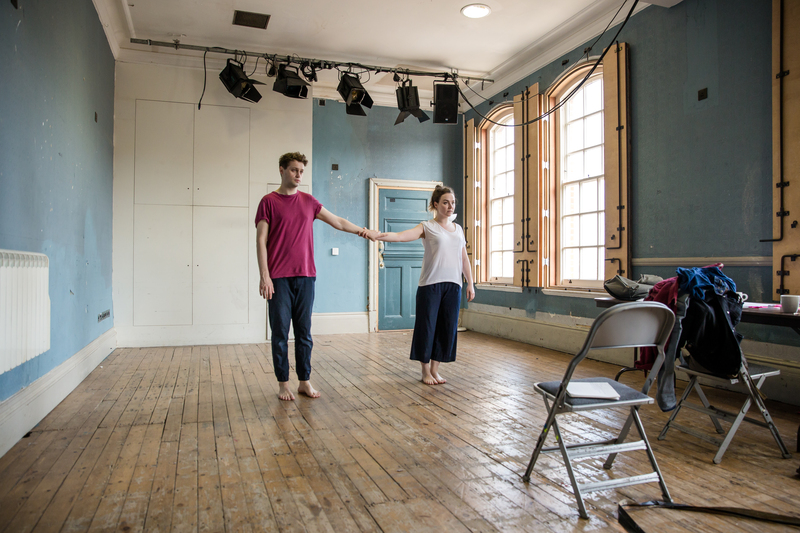 They are currently developing their second piece, The Grand Scheme of Things, as part of The Yard’s First Drafts. It receives its debut at Litmus Fest at the Pleasance Theatre, London, on the 27 & 28th September. Here’s a link: THE GRAND SCHEME OF THINGS. Flora studied Drama at Exeter University, and went on to train as an actor at the Royal Conservatoire of Scotland. During her time in Glasgow she worked with Playwrights Studio Scotland, and she performed her one-woman piece My Mum Loves Mick Jagger at The Arches. She was mentored by Adrian Howells. 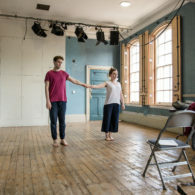 After graduating, Flora was a Chichester Festival Theatre Young Playwright, and her short play Hiding, Losing was performed in the Minerva Theatre as part of the PlayPod5. She has been commissioned by performer/director Grace Gibson and by The Campsite, supported by the Jerwood Foundation.